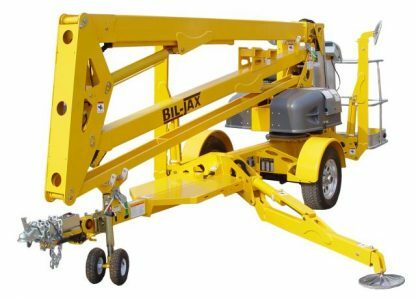 The Bil-Jax 4527A trailer-mounted towable man lift is a safe, economical, and easy way to help homeowners and contractors complete those jobs that are just out of reach. 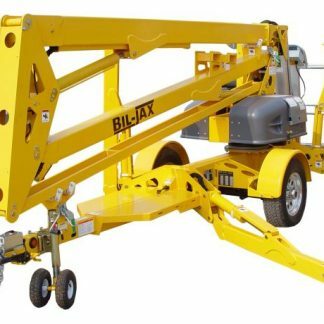 The Bil-Jax 45′ Man Lift was designed to be quick, practical, and user friendly. 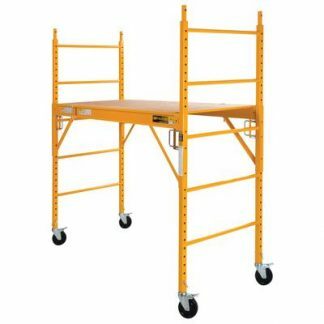 The platform and ground controls have an easy-to-understand display panel that has simple buttons surrounding a single machine image for easy identification and operation. 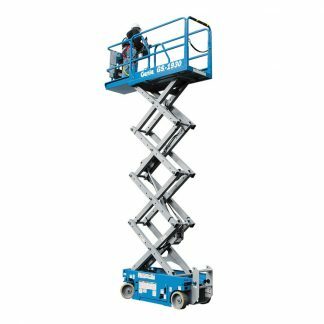 This articulated aerial man lift runs off 6 rechargeable deep cycle marine batteries that can typically power a full day’s usage. It can also be plugged in. 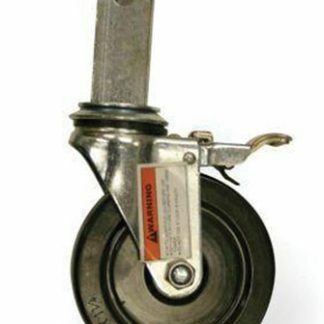 To make sure you have the tools needed for the job, this man lift has a built-in 110V power supply with 2 outlets, air supply, and pressure quick connect right in the bucket. 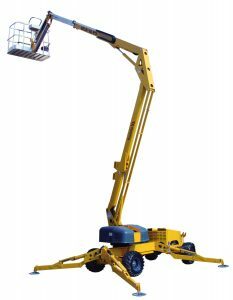 The lift can safely reach to a 51′ working height, 27′ outreach, and features an automatic, self-leveling hydraulic outrigger system that allows for quick and easy setup. 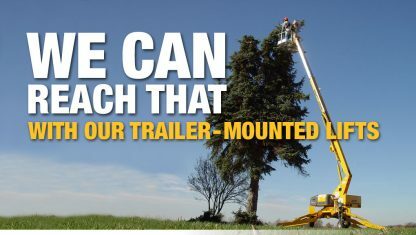 After a quick demonstration and a few tips from our staff, anyone can feel comfortable using the machine. 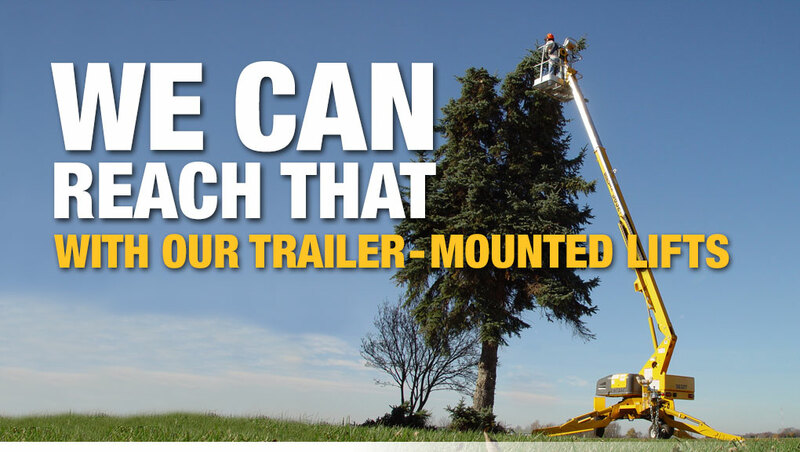 This unit can be towed with vehicles 1/2 ton and larger, with a class 3 mounted hitch and 2′ ball. 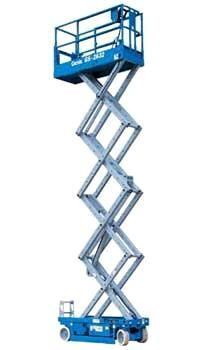 Safety harness and lanyard also available.